I use the latest bbpress 2.6 RC7. The feature mention is not working properly. 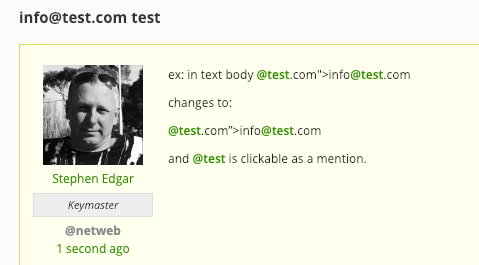 and @test is clickable as a mention.